From the Editor: The University of Montana has experienced falling enrollment since 2010, with an overall 24 percent drop to about 11,500 students. At the same time, Montana State University has seen enrollment climb to over 15,000, a record for the university. Shifts in enrollment trends within the Montana University System is nothing new, as seen in this excerpt from an article from 1978. During the past year, most Montanans became aware of the controversy concerning enrollment declines at the University of Montana. 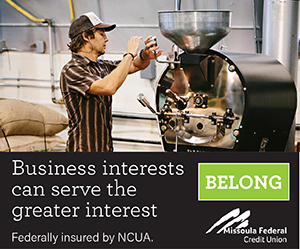 The 1977 Montana Legislature imposed budget limitations throughout the state’s university system which, in effect, tied the size of each unit’s faculty and staff to the number of enrolled students. Since the number of students at the university has decreased, the Missoula campus was faced with a rigorous process of program evaluation, which culminated in the announced cutback of some faculty and staff positions. Further, since the declines at the University of Montana were accompanied by significant enrollment increases at Montana State University in Bozeman, UM’s position within the Montana University System seemed jeopardized. 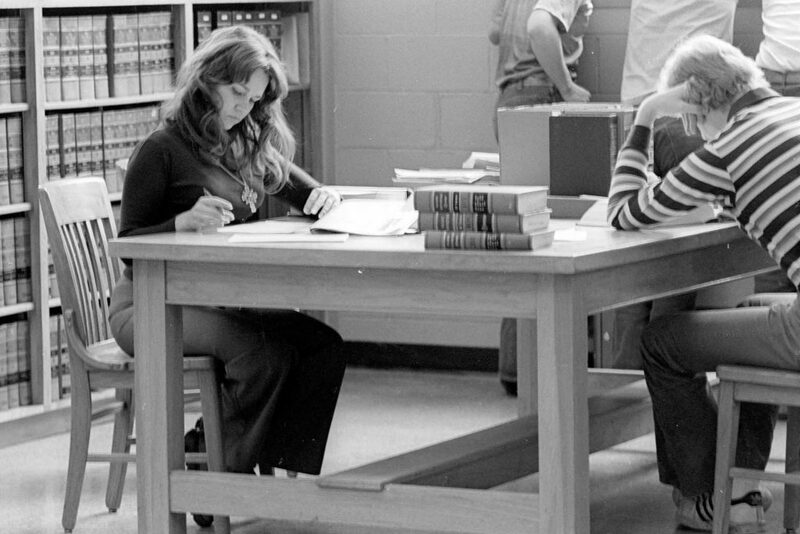 Table 1 presents fall quarter enrollment at the six units of the Montana University System from 1971 to 1976. System-wide enrollment was at a peak of 24,197 students during the fall quarter of 1976, up about 2.7 percent from 23,562 students in 1971. This overall upward trend was the net result of declines during 1972 and 1973 being counterbalanced by increases in 1974, 1975 and 1976. 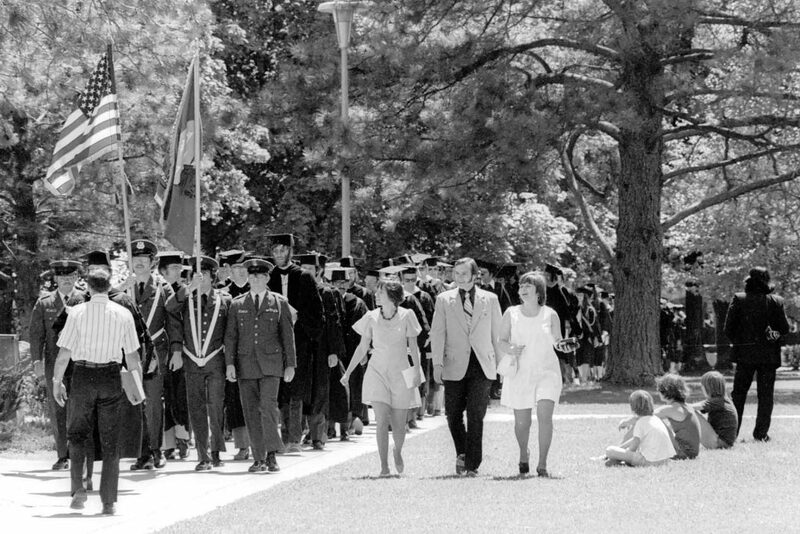 The system-wide enrollment low was in 1973, when there were 21,768 students. Table 1. 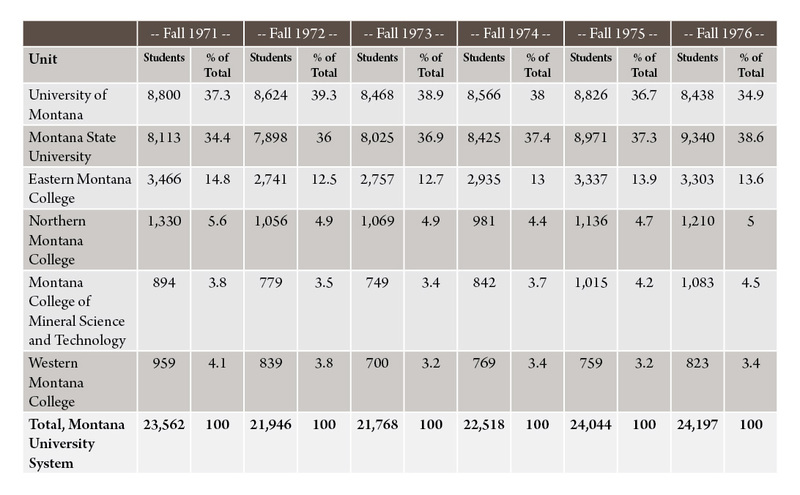 Enrollments at the University of Montana, Montana State University and all other units of the Montana University System, 1971 to 1976. Trends in student numbers at the University of Montana roughly paralleled the rest of the system; 1971 was a year of high enrollment, followed by declines in 1972 and 1973, and increases during 1974 and 1975. But the similarities end here. 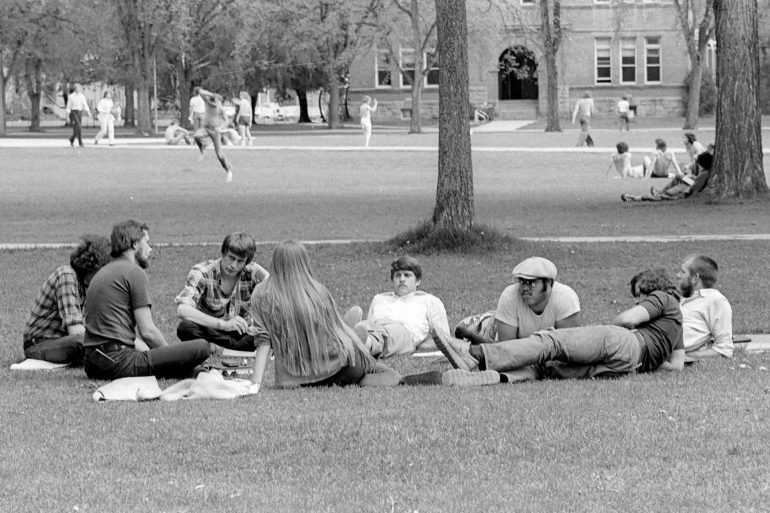 The number of students at the University of Montana declined sharply in 1976, compared with increases at four of the five other campuses. Furthermore, UM’s share of the system-wide enrollment steadily declined between 1972 and 1976, from 39.3 percent to 34.9 percent, indicating that the campus was declining faster or increasing slower than the rest of the Montana University System. Montana State University, on the other hand, has experienced consistent growth in its student population (except for 1972) and an increasing share of the system-wide enrollment. Between 1971 and 1976, the University of Montana experienced a total loss of 362 students while Montana State University increased by 1,227 students. The largest component at both schools was the change in freshman enrollment; UM declined by 434 while MSU gained 337 first-time students. Those who were Montana residents at the time of application account for most of the increases and decreases; UM lost 273 in-state freshmen while MSU gained 263 during the six-year period. The near equality of these figures should not be taken too seriously; it does not mean that about 275 freshmen enrolled in MSU rather than UM. The trend in nonresident freshmen parallels that of residents. Freshmen were not the only cause of enrollment changes. Transfers to the University of Montana declined by 49 students between 1971 and 1976. A sharp drop in the number of persons switching from Montana State University and other Montana University System units more than offset the increase in the “all other” category – which primarily consists of transfers from out-of-state schools, but also includes the three private colleges in Montana. At MSU, there was a net increase of 200 transfers from UM and the other Montana University System units, plus a sizable jump in those switching from out-of-state schools and private colleges in Montana. Enrollment problems at colleges and universities throughout the nation are likely to be exacerbated in the near future due to declining numbers of potential freshmen. The University of Montana may be facing a double-barreled threat; if present trends continue, not only will there be a further decline in UM’s share of the Montana University System enrollment, but there also may be a decrease in the total number of students in the system. The largest single age group in the United States was born in 1961; in Montana, the year was 1960. There is a small, but steady decline in the size of age groups born later. Therefore, the largest pool of potential freshmen will graduate from high school during the 1977 to 1980 period. The decrease in students attending the University of Montana was primarily caused by declines in the numbers of both in-state and nonresident freshmen. But students in lower division classes do not seem to gravitate toward any particular campus for programs not offered elsewhere. The same programs grew rapidly (or slowly) throughout the Montana University System. Reversing the recent enrollment trends at the University of Montana will not be a simple job. 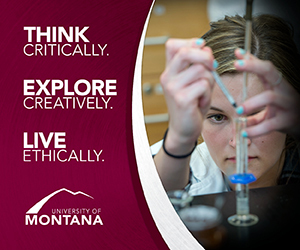 UM will continue to experience competition for students from other colleges and university in Montana. At the same time, there will be a decline in the number of persons in the college age group. This past year, University of Montana officials devised a recruiting program aimed at the state’s high school seniors. The success of this program may help to alleviate UM’s enrollment decline. Whether or not this program proves effective remains to be seen. Paul E. Polzin was a research associate at the Bureau of Business and Economic Research in 1978. He became director in 1988, serving in that role until his retirement in 2008.